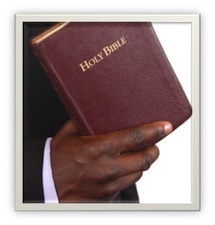 Are biblical examples binding on us today? Hermeneutics is the name scholars have assigned to the principles men have devised to govern the interpretation of God’s Word. Unfortunately, this term is also used to mask the intentions of men to manipulate the message and make it fit their pre-conclusions. In Matthew 15:9 and Matthew 28:19-20 Jesus gave two principles that make up Heaven’s hermeneutics. May we always default to God’s principles before surrendering to man’s. In other words, Heaven’s hermeneutics (principles of interpreting Scripture) are as follows: 1. Men have no right to make a doctrinal command out of something that God has not commanded. 2. When God gives a command, He expects it to be taught and kept. Just as the Pharisees created human laws in an attempt to return to the Old Law, we too have often placed words in God’s mouth in order to establish our preconclusions. Binding examples upon others as if they are commands is one of the ways we do this. Consider three dangers that this presents to the modern church. 1. Binding biblical examples as if they are commands promotes selective obedience. II Timothy 3:16-17 says, “All Scripture is given by inspiration of God, and is profitable for doctrine, for reproof, for correction, for instruction in righteousness, that the man of God may be complete, thoroughly equipped for every good work.” If we are to take this passage to mean that every word in Scripture carries the same level of authority, then consider the following dilemma. How much of a New Testament example is binding? Consider communion. The first communion was taken on a Thursday evening as part of the Jewish Passover. The grape juice was taken from a single cup while the observers reclined at a table in an upper room. How many of these details must the modern church follow? In Acts 20:7, the church at Troas met at the first of the week to “break bread”. If these words mean communion, as many scholars suggest, then perhaps we have more examples to be obeyed. The disciples at Troas also met in an upper room (Acts 20:8). The weekly service mentioned in this text included a message that “continued... unto midnight” (vs. 7). It also included a miraculous healing (vs. 10). Verse 11 indicates that the breaking of bread happened in the evening at or after midnight. Some would say that taking communion on the first day of every week is a binding example. At the same time, they dismiss the examples of using one cup, meeting in an upper room and breaking bread at an evening service. Why is one detail more significant than the others? Who gets to decide which part of an example is binding and which part is not? If “All scripture” (2 Timothy 3:16) means that every word is equal in authority, then every detail of every example should be fully obeyed. What about Paul’s example to observe the Old Testament Sabbath and meet regularly with the Jews in their synagogues? (Acts 17:2) It seems that this was also the custom of Aquila and Priscilla (Acts 18:26) and thousands of other Christians who lived in Jerusalem. (Acts 21:20) Should the modern church bind this well-established biblical example as if it were a command? Paul did say, “Brethren, join in following my example, and note those who so walk, as you have us for a pattern.” (Philippians 3:17) Should we lift Paul’s words out of their context and make them apply across the board to every example that he left for us? If so, then every modern Christian needs to find a synagogue to attend this Saturday. What about Paul’s example to engage in Old Testament acts of worship in order to reach out to New Testament Jewish Christians? (Acts 21:17-26) Should we give this example the same emphasis that we give a direct command? What about assembly locations? Never once in all of the New Testament is there a command or example of the early Christians meeting in a church building. Does that mean the silence of Scripture condemns such buildings? The New Testament does give us six examples of the early church meeting in homes. Perhaps we should use the same argument here that is often used on other topics. The Bible says we can worship in homes, but it does not say we can worship in church buildings. Should we conclude, therefore, that the silence of Scripture condemns worshipping in church buildings? Should we conclude that these six examples command us to worship in homes? What about located preachers? Again the Scripture is silent in both command or example of a preacher staying more than three and a half years with one congregation. Is this an example that should be bound upon others and used to draw a line of fellowship? Who gets to choose which example is binding and which example is not? When biblical examples are bound upon others as if they are commands, the modern church is either forced into selective obedience or into the legalism of obeying every detail of every example given in every part of every Scripture. 2. Binding biblical examples as if they are commands is dangerous, because it opens the door to denominationalism. When the emphasis is removed from God’s direct commands and placed upon human examples, the door to human opinion is left wide open. The denominational world uses the biblical example of the Jerusalem council (Acts 15) for their authority to call regional church leaders into a meeting to decide church policy. If examples are as authoritative as commands, then it is hard to argue with their position. Some in the denominational world use the examples of Acts 10:44-48 and Acts 19:5-6 as grounds to require a person to speak in tongues as evidence of their salvation. Some in the denominational world use Paul’s example of celibacy as grounds to require their church leaders to be celibate. Some in the denominational world use the examples of Acts 2:44-45 and Acts 5:32 as their authority to bind communal living upon their followers. If examples and commands are to receive the same level of authority, then it is very hard to argue with these denominational positions. What right have you and I to say that their favorite example is any less binding than ours? In fact, if we are going to obey all examples as if they are commands, then we have no choice but to embrace many of these denominational views. 3. Perhaps the most dangerous part of lifting an example to the level of a command is what it does to the authority of God’s silence. For many years, restoration Christians have used command, example and necessary inference as their guides to interpreting Scripture. Like sincere Pharisees who simply wanted to restore full obedience to the Old Law, we also desire a return to the pure observance of the New Law. This desire is admirable and it is well worth the investment of all our spiritual energy. But like most great efforts, this pursuit does not come without the temptation to employ human wisdom and human authority along the way. Because God deserves obedience, men often create their own laws to help God reach His goal. In the process, they not only put words in God’s mouth, they also attempt to join Him on His throne of authority. Binding biblical examples as if they were direct commands does this very thing. We must be careful. Biblical examples should always be viewed as treasured information. Only a fool would overlook them. But, on the other hand, lifting a biblical example to the same level as a command is also foolish. Biblical examples should always be viewed as treasured information. Only a fool would overlook them. Remember the words of Paul, “For whatever things were written before were written for our learning, that we through the patience and comfort of the Scriptures might have hope.” (Romans 15:4, NKJV) But, on the other hand, lifting a biblical example to the same level as a command is also foolish. That flawed principle of interpretation has proven to lead the church down a very dangerous and contentious road. If God wanted something to be viewed as a command, all He had to do was preserve it as a command. Never be guilty of putting words in God’s mouth. Honor examples. Obey commands. Back to Top of "Are biblical examples binding on us today?"